• Search and Rescue Members: A person serving as an unpaid Search and Rescue member of a California law enforcement agency. • Law Enforcement Volunteer: A person serving as an unpaid law enforcement volunteer, volunteer in policing, senior volunteer or similar non-sworn position with a California law enforcement agency. – General Advisory Services. An LSP representative is available by phone and email to answer questions regarding your law enforcement service, including topics such as POST rules and regulations, your agency policies and procedures, California laws under the Penal Code, Government Code, Labor Code and similar laws, as well as federal laws and the court cases interpreting such state and federal laws as they apply to your law enforcement service. – Firearms-related Laws. In connection with the plan, the CRPOA provides its views concerning federal and state firearms laws. We are available to answer questions concerning CCW laws (for both active and retired peace officers [CCW endorsements], the federal Law Enforcement Officers Safety Act, laws concerning “large capacity magazines” and “assault weapons” (each as defined under California law), and similar laws. General members are not entitled to rely on these views as legal opinions or legal advice as these laws are not applied consistently, change constantly, and are highly fact-specific. Any decisions relative to these laws are the responsibility of the General Members and General Members are encouraged to seek personal legal advice prior to taking or refraining from taking any actions relative to these laws. – Administrative and Disciplinary Matters. The LSP provides representation in administrative matters, such as alleged violations of department policy or other adverse disciplinary actions relating to or which may affect the General Member’s qualifying employment or volunteer work with a California law enforcement agency, as well as matters concerning the suspension or separation of a General Member from his or her agency. The LSP is designed to guide CRPOA General Members with respect to matters arising in connection with CRPOA General Members’ duties to their agencies which may result in administrative discipline due to violations of agency policies. As such, an LSP representative will assist General Members in connection with administrative matters arising within the course and scope of the members’ duties not involving the likelihood of criminal law sanctions or personal civil liability. In these cases, unless agreed to the contrary by CRPOA and the General Member, a plan representative will appear at an administrative interview or at a liberty interest (“name clearing”) hearing provided the hearing is scheduled with sufficient advance notice to accommodate the scheduling of the LSP representative to appear. – Litigation. If a General Member is the subject of adverse administrative action and CRPOA determines that the issues involved are of broad importance to CRPOA members, CRPOA, in its sole discretion and with the consent of the involved member, may write legal demand letters and may opt to bring and fund “offensive” litigation (i.e., in which the General Member and/or the CRPOA is the plaintiff, cross-defendant or other related party to such litigation) or other court proceedings. In such event, the LSP legal counsel will oversee the appointment, and the CRPOA will bear the cost, of outside counsel at no additional cost to the General Member. 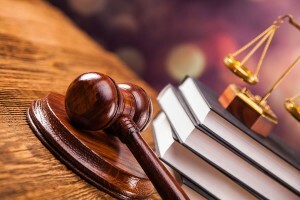 Under no circumstances shall CRPOA be obligated to bring such action, nor shall CRPOA be obligated to defend any member against whom a civil action is brought in connection with the member’s duties to or employment by his or her agency. If a General Member is named as a defendant or a cross-defendant in a civil suit relating to the General Member’s actions within the course and scope of such member’s duties to the member’s agency and the employing agency wrongfully fails or refuses to indemnify the General Member in accordance with California law, the LSP legal representative will advise the General Member on steps the General Member can take to obtain such indemnification. – Matters Which Pre-Date Your Membership Effective Date . The LSP will not cover matters which relate to facts and circumstances which arose prior to the effective date the member joined CRPOA. This is intended to address primarily those persons who join CRPOA in order to obtain legal assistance for matters arising prior to their membership becoming effective. In other words, a membership must be “active” at the time of the occurrence which precipitated the legal or other matter for which LSP assistance is requested. – Legal Defense/Insurance . The LSP is neither a legal defense plan nor an insurance plan. The LSP is advisory only and is not available to defend you in any matter implicating personal civil or criminal liability. – Criminal Law Matters and Civil Matters Implicating Personal Liability . The LSP does not provide advice or representation for threatened or charged criminal matters or for any matter with respect to which a criminal law violation may be implicated. An LSP representative will not be provided for any on-duty or off-duty incidents which are likely to implicate potential criminal law sanctions, including without limitation incidents involving use of force, “Section 1983” claims, or other incidents by which criminal or personal civil liability are likely to arise, nor will services be available under the LSP for acts which the CRPOA determines constitute gross negligence or intentional wrongdoing, whether civil or criminal in nature. – Court Proceedings. The LSP will not provide legal services with respect to any legal proceedings, such as hearings, lawsuits, court proceedings or other formal legal actions (except if CRPOA chooses to do so – see “Litigation” above). – Critical Incidents. The LSP will not provide a representative for an immediate on-scene response to critical incidents, such as an officer-involved shooting (OIS) or other use of force incident. While the LSP maintains an emergency hotline, the LSP is not staffed on a 24-hour basis and, as such, there is no guarantee that a representative will be able to respond to you immediately in the event of a critical incident or other matter requiring an on-scene response. Reasonable notice of a legal matter is required. – Matters Affecting Your Livelihood, Pension or Other Financial Interests. The CRPOA Legal Services Plan is not available with respect to matters which may adversely affect a person’s livelihood or other economic or financial interests, whether it be with respect to current remunerated employment, retirement matters or other requests for service which implicate a member’s personal financial situation. In particular, the CRPOA Legal Services Plan is not available for any matter relating to pensions or retirement benefits (including, without limitation, CalPERS), nor is it available to any full-time peace officer member with respect to the employment of that member with a California law enforcement agency or any other employer. For example, if a General Member is also a peace officer appointed to a section other than Penal Code §830.6, the LSP will not provide legal services of any type for any activity not directly related to the General Member’s service as a Penal Code §830.6-appointed peace officer. – Use of the LSP is not Unlimited. The use of the CRPOA Legal Services Plan is available for matters which do not require excessive lawyer time, such as repeated and unlimited requests for advice or counseling which require substantial amounts of time. While it is impossible to quantify the number of hours a particular matter may take, a member may not use the plan for unlimited purposes. CRPOA strongly urges its members to avail themselves of coverage under the PORAC Legal Defense Fund or other rank and file plan. See https://poracldf.org/. Such plans provide legal defense with respect to the matters covered under those plans and is suitable for criminal and civil representation for acts or omissions occurring within the scope of employment as well as administrative disciplinary matters. The CRPOA LSP is not a legal defense plan. **The CRPOA Legal Services Plan is subject to change from time to time.